The Cardinals announced re-signed punter Drew Butler and cut Ryan Quigley. Butler was previously released with an injury settlement by Arizona on October 4 following a calf issue, but now he’s back in the fold. The Chargers have waived center Chris Watt with a failed physical designation, a source tells Michael Gehlken of the San Diego Union Tribune (Twitter link). Injuries limited the former third-round pick to 17 games in his first two years and prevented him from taking the field so far in 2016. Watt, who had been on the PUP list, will revert to IR if he clears waivers. The Vikings signed offensive tackle Rashod Hill to the 53-man roster off of the Jaguars‘ practice squad, as agent Brett Tessler tweets. Hill will help provide depth in the wake of Jake Long‘s season-ending injury, which has landed him on injured reserve. The Bears announced that they’ve promoted offensive lineman Cornelius Edison from the practice squad. He’ll take the place of OL Kyle Long, who was officially placed on IR. The Cowboys are promoting wide receiver Vince Mayle from the practice squad to the active roster, according to a tweet from his agents at Reign Sports. Mayle is a former fourth-round selection of the Browns. The Colts announced that they have claimed linebacker Deon King off waivers from the Chargers and waived wide receiver Marcus Leak. Veteran Vikings offensive tackle Jake Long suffered a torn Achilles in the club’s loss to the Redskins, head coach Mike Zimmer told reporters, including Chris Tomasson of the Pioneer Press (Twitter links). Long is likely finished for the season. Injuries have hit the Vikings hard dating back to training camp, when quarterback Teddy Bridgewater went down with a severe knee injury. Since that time, Minnesota has not only lost All Pro running back Adrian Peterson, but suffered a number of injuries along the offensive line. Both of the club’s starting tackles — Matt Kalil and Andre Smith — are already on injured reserve, while key reserve Mike Harris hasn’t played this season while dealing with an illness. Backup options haven’t sufficed for the Vikings, as the club ranks dead last in adjusted line yards and 22nd in pass protection, according to Football Outsiders’ metrics. Second-string tackles T.J. Clemmings and Jeremiah Sirles have been among the worst blockers in the league, and will now face even more pressure to perform with Long on the sidelines. Long, a former No. 1 overall pick, spent the 2015 season with the Falcons after signing on midway through September. The veteran was hoping to have a bounce-back season in Atlanta, but he wound up only appearing in four games and he didn’t start in any of those contests. Long, who tore his ACL during both the 2013 and 2014 campaigns, had started three games for the Vikings thus far. Cowboys rookie Dak Prescott has been among the NFL’s most effective quarterbacks through five weeks, but he’s prepared to surrender the starting role when Tony Romo is ready to return from injury in the coming weeks. The Cowboys are “Tony’s team,” according to Prescott, who took over as Dallas’ starter when Romo suffered a broken bone in his back in late August. A fourth-round pick from Mississippi State, Prescott has helped the Cowboys to a 4-1 record while completing 69 percent of his passes and combining for seven touchdowns (four passing, three rushing) Prescott has also amassed 155 attempts without an interception, which is the most ever for a player starting his career. He’ll try to keep that streak alive until at least Week 8, when Romo could come off the shelf. Cowboys owner Jerry Jones insisted last Sunday that the No. 1 job belongs to Romo. The Lions gave Justin Forsett a one-year deal for the veteran’s minimum with nothing guaranteed, as Dave Birkett of the Detroit Free Press writes. That means Forsett will earn less than $625K for the final 12 weeks of the season since the deal is prorated. Jake Long‘s deal with the Vikings is for the prorated portion of the veterans’ minimum with an injury split of $453K, Ben Goessling of ESPN.com tweets. He’ll count only $423K against the salary cap because of the minimum salary benefit. At the moment, the Vikings are $379K over the salary cap, so they’ll have to move some money around. Isame Faciane, one of Long’s fellow Vikings offensive linemen, is facing three misdemeanor charges after receiving a DWI citation Wednesday, according to Goessling. Faciane has been a member of the Vikings’ practice squad since 2014. Former No. 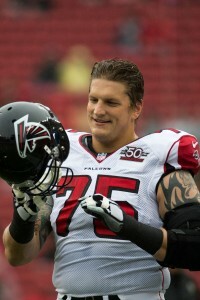 1 overall pick Jake Long has a new home. The Vikings are expected to sign the offensive tackle today, a source tells Adam Schefter of ESPN.com (on Twitter). Long auditioned for Minnesota on Monday after the team was forced to place Andre Smith on IR. While Smith deals with his bothersome elbow, Long is expected to provide veteran depth for the Vikings’ O-Line. He likely won’t be penciled in as a starter, but we should know more about his role when coach Mike Zimmer addresses reporters today. Long appeared to have a deal with the Ravens this summer, but his physical raised red flags for the team and the tackle declined to sign an injury waiver. When that deal went bust, Long remained on the open market and there was little news about him until yesterday’s Vikings audition. After two torn ACLs, it will be interesting to see what Long is capable of doing this season. 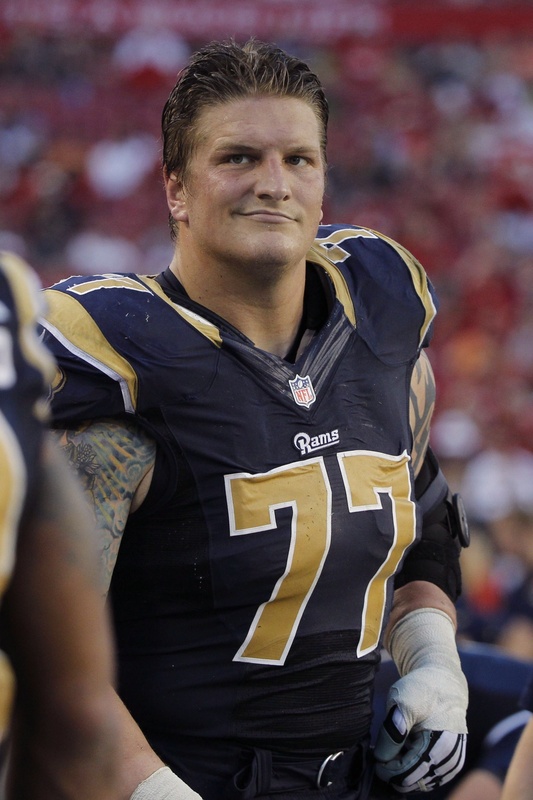 The Vikings worked out Jake Long today, as Chad Graff of the Pioneer Press tweets. Coach Mike Zimmer confirmed the workout to reporters at a press conference earlier today. Long, 31, could be a good pickup in the wake of Andre Smith‘s elbow injury. Smith was placed on IR earlier today, meaning that he will be out for at least eight weeks. Long, a former No. 1 overall pick, spent the 2015 season with the Falcons after signing on midway through September. The veteran was hoping to have a bounce-back season in Atlanta, but he wound up only appearing in four games and he didn’t start in any of those contests. In the year prior, Long saw time in just seven games for the Rams last season due to a torn ACL. In the year before that, Long also tore his ACL in St. Louis. In 2014, Long’s last season which could be measured by advanced metrics, Pro Football Focus ranked Long as just the No. 36 tackle out of 84 qualified players. In 2013, however, Long graded out as the seventh-best tackle in the league with a strong 22.5 overall score, based on PFF’s advanced metrics. Those numbers suggest that Long could still be a productive player if he can return to full health. The Ravens won’t be signing Jake Long after all. Despite passing an exit physical with Falcons in January and another with Dr. James Andrews this week, Long declined to sign an injury waiver today and, therefore, remains a free agent, according to Adam Schefter of ESPN.com (Facebook link). Long tells Schefter that his knee feels great and indicated that he was happy with by Andrews’ review of his knee this week. With what he deems to be good medical news, Long says that he still looks forward to playing this season. However, it’s unclear where he might try and make that happen. Long had a visit with the Bears earlier in the offseason, so it’s conceivable that Chicago could come calling again. Long, 31, spent the 2015 season with the Falcons after signing on midway through September. The former No. 1 overall pick was hoping to have a bounce-back season in Atlanta but he wound up only appearing in four games and he didn’t start in any of those contests. 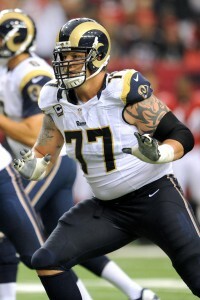 In the year prior, Long saw time in just seven games for the Rams last season due to a torn ACL. In the year before that, Long also tore his ACL in St. Louis. Ravens To Sign Jake Long? WEDNESDAY, 3:02pm: Long’s physical is ongoing and, as of this writing, he has not been signed, the Ravens announced. Dr. James Andrews will evaluate Long’s knee. After that examination, we should have a better idea of where things stand with Baltimore and Long. TUESDAY, 12:46pm: The Ravens have agreed to sign former No. 1 overall pick Jake Long, according to Adam Schefter of ESPN.com (on Twitter). Long is flying to Baltimore tonight to sign his contract. The Giants continue to assess their options among offensive line free agents, and still have interest in Eugene Monroe, per Jordan Raanan of NJ.com. Still, the club isn’t willing to offer Monroe a starting spot at left tackle, where they prefer to keep Ereck Flowers in place. Jake Long could be another target for New York, but sources tell Raanan there were questions about Long’s desire and love for the game in 2015. Former Giant Will Beatty, whom the team released earlier this year, would only return to the club if all his options are exhausted, as his relationship with New York is reportedly strained. “Barely anybody would blink” if the Giants added a receiver before the season begins, according to Raanan, as the club’s depth chart is largely unsettled behind Odell Beckham Jr. and Sterling Shepard (the latter of whom is a rookie, meaning he comes with his own question marks). PFR recently listed Anquan Boldin as the best free agent receiver still on the open market, and Raanan recently wrote that the former 49er would make for a solid veteran option for the Giants. Andre Johnson, James Jones (who spent a few weeks on New York’s offseason roster in 2015), Marques Colston, Brian Hartline, and Roddy White are among the other free agent pass-catchers still without homes. Cornerback is another position that could be addressed in the coming weeks, writes Raanan, but Leon Hall is unlikely to sign with the Giants. Hall, rather, is probably going to re-sign with the Bengals or join the Cardinals, per Raanan. New York has already targeted secondary help this offseason, meeting with Jerraud Powers before he signed with the Ravens. Veteran free agents aren’t ready available at corner, so adding “camp bodies” might be the more likely approach for the Giants. Finally, the Giants could look to add a veteran along the defensive line, especially at edge rusher, where the club doesn’t have much in the way of depth behind Olivier Vernon and Jason Pierre-Paul. Rannan points to Darryl Tapp, LaMarr Woodley, and George Selvie as potential targets, while noting that New York is unlikely to sign Dwight Freeney. The Colts might be in Los Angeles right now if not for Peyton Manning, former general manager Bill Polian told SiriusXM NFL Radio on Tuesday. Polian informed Zig Fracassi (Twitter link) that Colts owner Jim Irsay waited until the last minute around 2000 to prevent a move to LA, ultimately getting Lucas Oil Stadium built because of the presence of Manning, then the face of the franchise. Manning, who was only a three-year veteran at the end of the 2000 season, stayed with the Colts through the conclusion of the 2011 campaign – which he missed because of a neck injury – and helped to secure their only Super Bowl title and, apparently, their presence in Indianapolis. The Broncos and superstar linebacker Von Miller are embroiled in a well-publicized contract battle and haven’t engaged in much dialogue over the last week and a half, but Troy Renck of the Denver Post expects the two to get a deal done before the July 15 deadline. It’s going to take more than $63MM in guarantees for that to happen, Renck acknowledges. Ninth-year Falcons GM Thomas Dimitroff doesn’t expect to last much longer in Atlanta if the team doesn’t turn around its on-field performance, he told Talk of Fame Sports Network. “Of course I’m on the hot seat. Every year I’m on the hot seat. I believe that 100 percent,” he said. “I believe anyone who doesn’t think they are maybe just won a Super Bowl. But I think most of us know that it’s a very urgent league now.” After going a wildly successful 56-24 with four playoff berths and at least nine wins in each of Dimitroff’s first five years with the Falcons, the club has combined for an 18-30 mark and no postseason appearances since 2013. The suddenly inept Falcons also turned a 6-1 start last season into an 8-8 overall finish. Despite a belief from some league insiders that Jake Long‘s legs are “shot,” the free agent offensive tackle told SiriusXM on Tuesday that he’s “100 percent confident” he’ll play in 2016, also stating that his agent has been in contact with teams (Twitter links). Long, who claims to be fully healthy, missed all but four games as a member of Dimitroff’s Falcons in 2015 and didn’t log any starts. Since last season ended, the 2008 No. 1 overall pick has garnered just one workout – with the Bears, who signed fellow offensive lineman Nate Chandler instead.